One of the perks of being in charge of the turkey this year, is all the leftover meat! 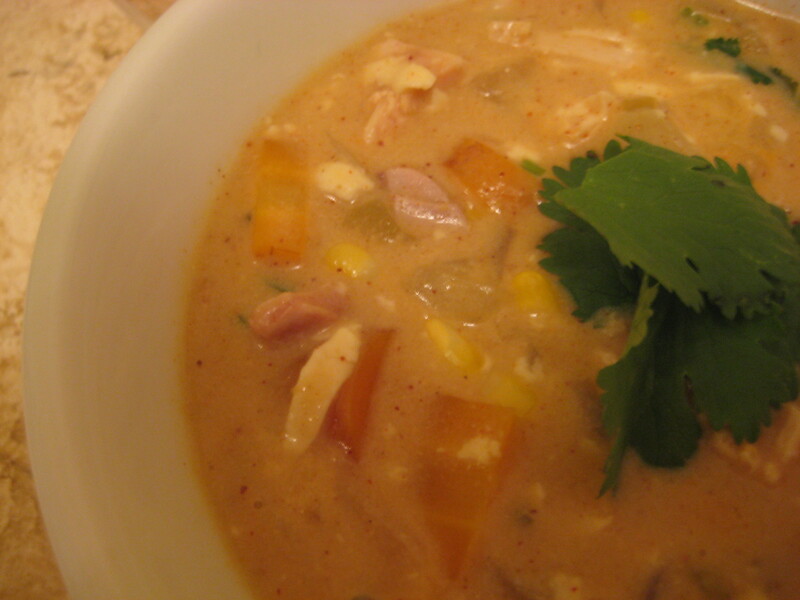 On Friday night, I was browsing Tastespotting as a break from my advanced tax transactions take home and found a recipe for some yummy Creamy Mexican Turkey Soup. It was easy to make and allowed me to use up some leftover broth and whole milk from other Thanksgiving recipes (I mixed in skim to make the “1% milk” the recipe calls for). I also doubled the amount of corn because I love corn. It was mellow with a hint of spice. Throw in some more peppers if you can handle it. 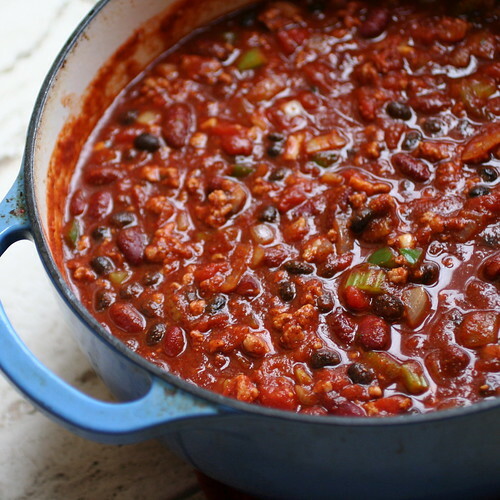 Since I still had a TON of turkey left after making (and finishing all the leftovers) of the Creamy soup, I thought I should make some turkey chili. 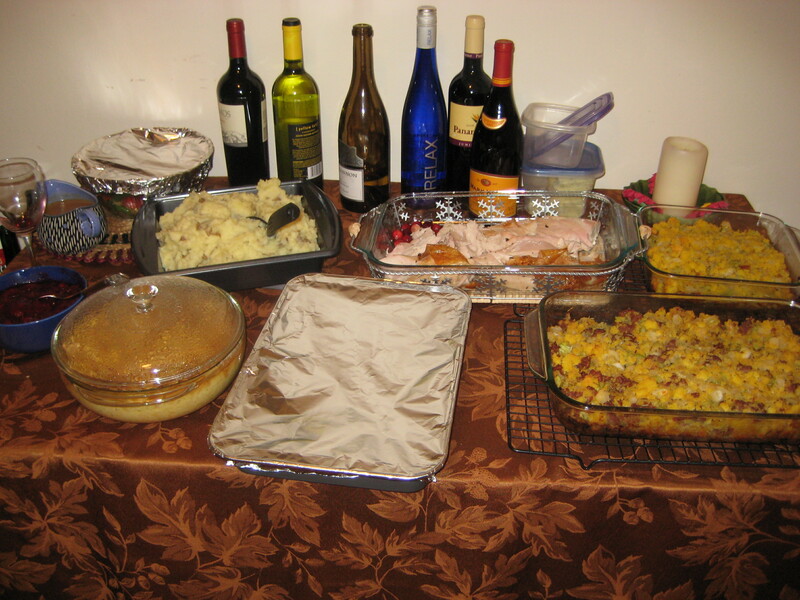 I had tagged a recipe in Nov’s Gourmet that just looked perfect for leftovers. Indeed it was. 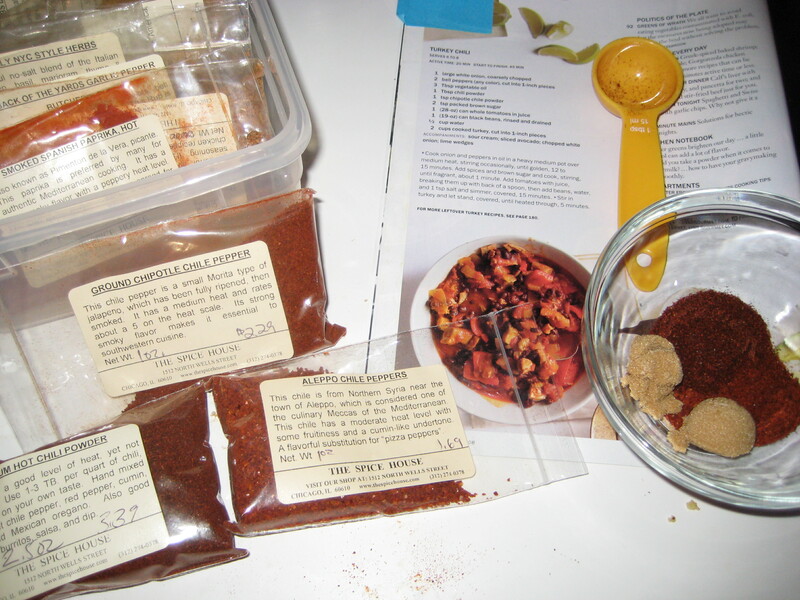 The recipe calls for two kinds of chili powder, including chipotle chile power which lends a hit of smokiness. I added a jalapeno since I had one on hand and chopped up a few cloves of garlic to saute with the onions and the peppers. It was perfect for this snowy/sleety Sunday night. This will be a keeper since it could be easily made with leftover chicken. 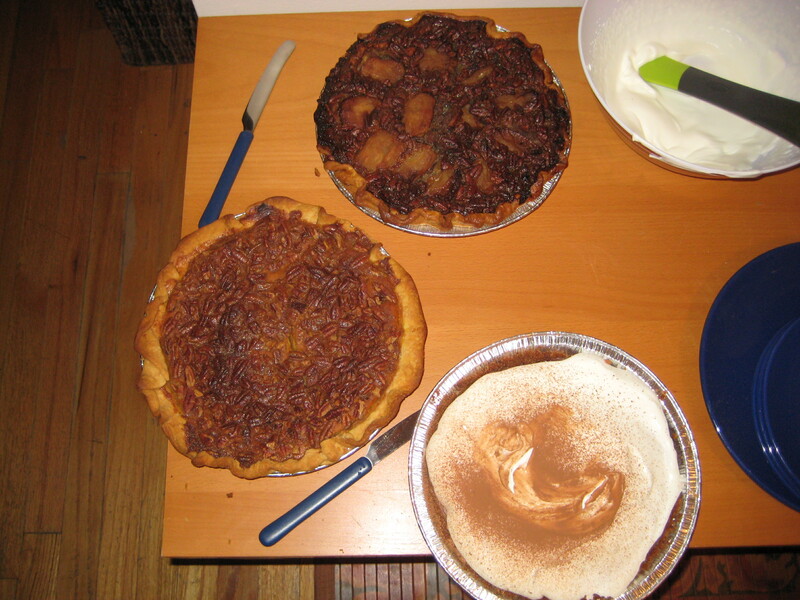 I ate mine with a dollop of creamy sour cream to mellow a little of the spice. 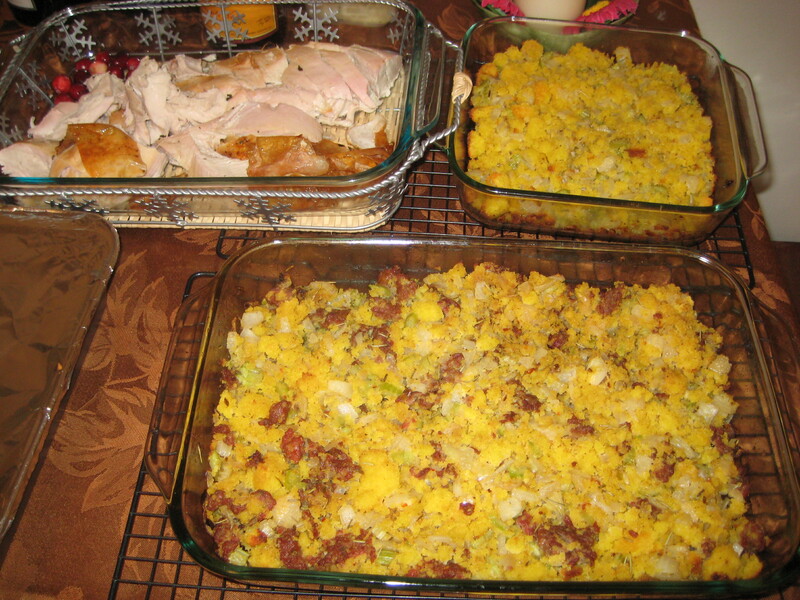 Try both of these recipes if you still are eating away at leftover turkey. I’m not sure which is my favorite! 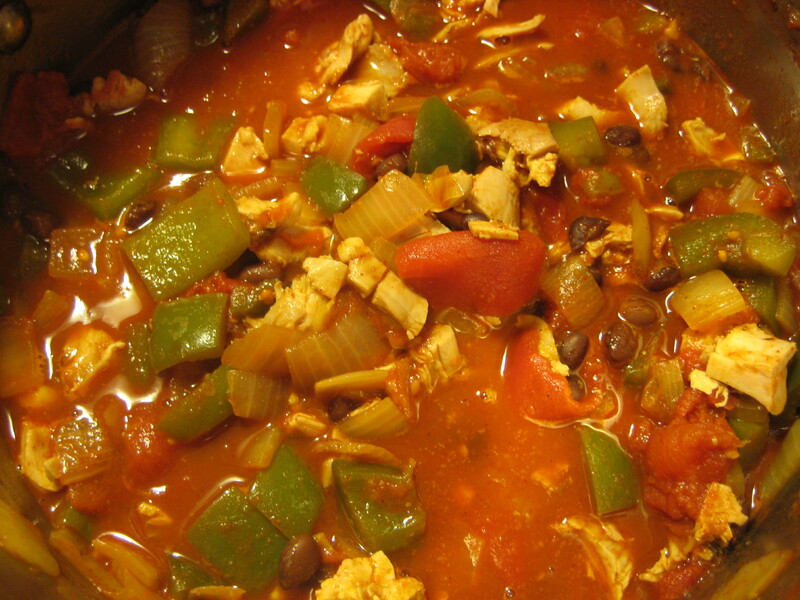 Head over to Recipe Girl to see Lori make her creamy style soup. 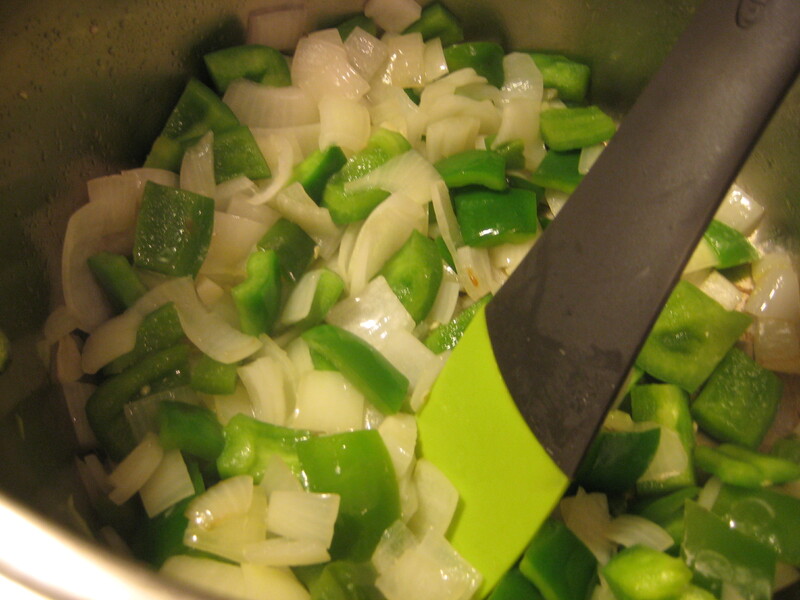 Cook onion and peppers in oil in a heavy medium pot over medium heat, stirring occasionally, until golden, 12 to 15 minutes. Add spices and brown sugar and cook, stirring, until fragrant, about 1 minute. 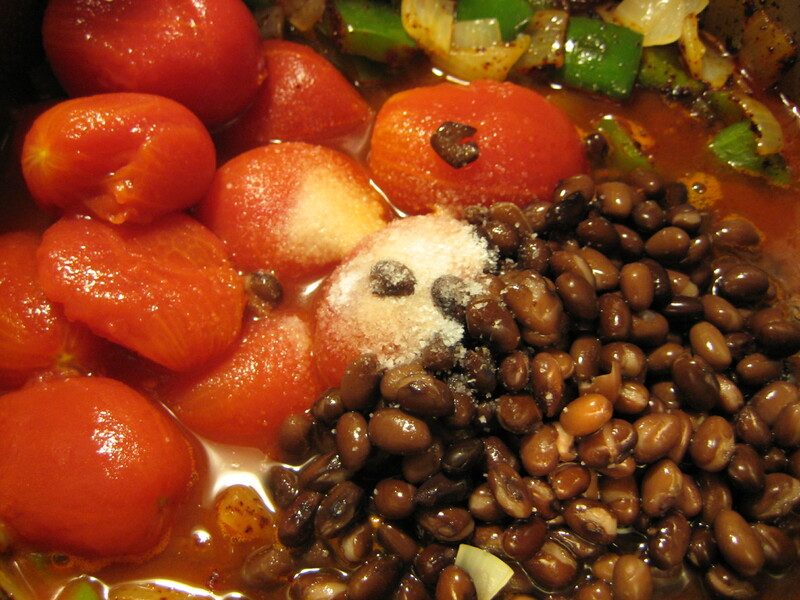 Add tomatoes with juice, breaking them up with back of a spoon, then add beans, water, and 1 tsp salt and simmer, covered, 15 minutes. Stir in turkey and let stand, covered, until heated through, 5 minutes. Since I really need to get working on my Advanced Tax Transactions takehome final, I should finish right here. I had a great time meeting new friends and trying new recipes. I will post about everything that I made in the future but the next 2 weeks are going to be stressful and finals packed.